SAINT PAUL – (RealEstateRama) — Recommendations for creating park space over Interstate 94 to link neighborhoods in the Rondo community of Saint Paul, Minnesota are detailed in a new reportfrom the Urban Land Institute (ULI), a global, multidisciplinary real estate organization whose work is driven by 42,000-plus members dedicated to responsible land use and building thriving, sustainable communities. The report’s conclusions are based on findings by a group of leading ULI members who visited Rondo in March 2018 to offer their expertise in land use and urban planning on a proposal for a land bridge, or “freeway lid” to connect the Rondo community after decades of being divided by the interstate. The ULI panel, convened through ULI’s Advisory Services Program, was sponsored by the Reconnect Rondo: More Than a Bridge organization and its partners, including the City of Saint Paul, Minnesota Department of Transportation, the Metropolitan Council, Minnesota Department of Health, and Ramsey County. The potential opportunities for African-American leadership of the project should be embraced and encouraged, ensuring that this is an opportunity for inclusive economic development. Their assignment built on previous advisory work regarding freeway lids conducted through ULI Minnesota, which serves ULI members in the Minneapolis-Saint Paul area and throughout the state. 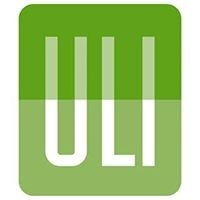 Convened through ULI’s renowned Advisory Services Program, the panel’s visit was part of ULI’s participation in the 10-Minute Walk Campaign, a collaborative effort with The Trust for Public Land and the National Recreation and Park Association to increase access to urban parks in cities nationwide. The campaign’s goal is for all residents in the United States to live within a 10-minute walk (or half-mile) of a high-quality park. In addition to Richardson, other panelists were: Beth Callender, principal, CallendarWorks, San Diego, California; Rodney Crim, president, St. Louis Economic Development Partnership, St. Louis, Missouri; Sarah Graham, principal, Strategic Economics, Berkeley, California; Bert Gregory, partner, Mithun, Seattle, Washington; Ilana Lipsett, co-founder, PublicDesign|PublicSpace, Oakland, California; and Ben Stone, director of arts and culture, Smart Growth America, Washington, D.C. NOTE TO EDITORS AND REPORTERS: The report detailing the panel’s recommendations will be discussed today at an event hosted by ReConnect Rondo at 4:45 pm in the Wilder Foundation’s auditorium.